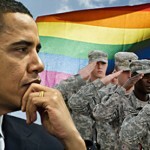 The Southern Baptist Convention (SBC) has just issued a series of guidelines for military chaplains over the issue of traditional marriage and so-called “gay” marriages. The guidelines have been issued by the North American Mission Board to protect Southern Baptist chaplains from having to perform or participate in “gay” wedding ceremonies. 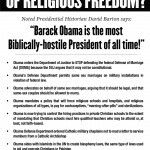 The Religious Freedom Coalition’s advertising campaign warning of the Obama Administration’s threats to religious freedom began running on May 13th. The first newspaper to accept the ad was the Panama City News Herald. This newspaper is in the Panhandle of Florida, in an area that has a large military presence. Many of those living in the area fought for religious freedom in Iraq and Afghanistan, only to see Christians persecuted by the predominantly Muslim governments there. 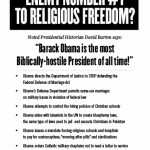 Religious Freedom Coalition newspaper ads telling of the Obama Administration’s threats to religious freedom begin running on May 13th. The first newspaper to accept the ad was the Panama City News Herald. This newspaper is in the Panhandle of Florida, in an area that has a large military presence. Many of those living in the area fought for religious freedom in Iraq and Afghanistan, only to see Christians persecuted by the predominantly Muslim governments there.